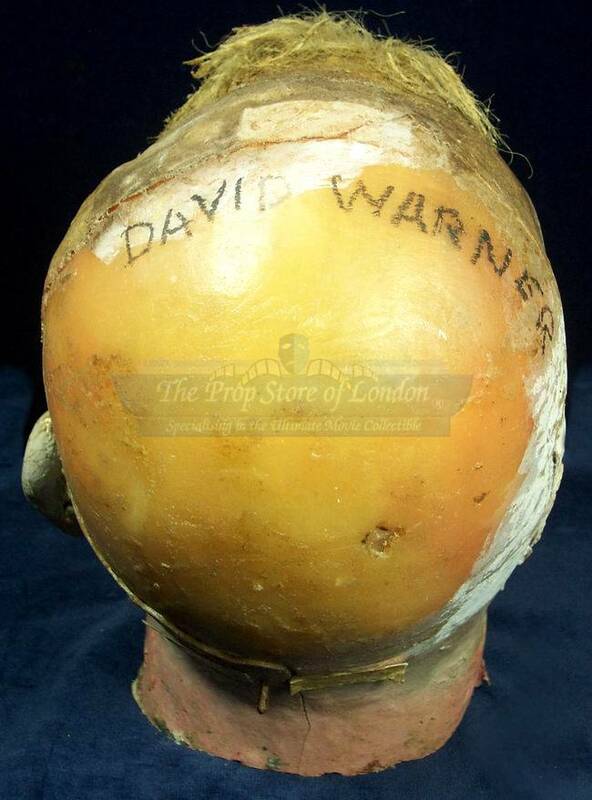 Via Richard Harland Smith on FaceBook, I learn that David Warner’s severed head has recently changed hands at auction. Don’t know how much it fetched. 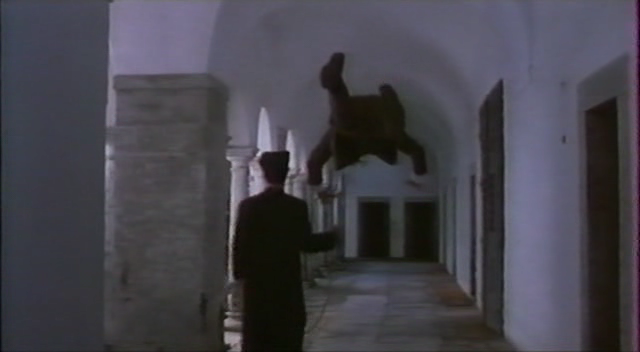 The head was manufactured for THE OMEN, in which a stray sheet of glass separates the part of Warner that memorizes its lines from the part that does an impressive gorilla walk in MORGAN: A SUITABLE CASE FOR TREATMENT. From my own limited experience of prosthetics, I’d say it’s amazing how you can make a life cast of somebody and it can still not look entirely convincing, if caught from the wrong angle or seen for too long. 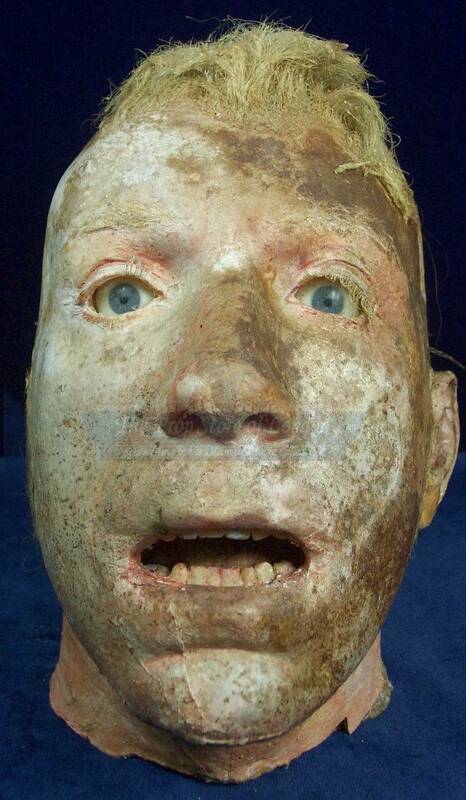 From this angle, he looks exactly like a peat bog Tintin. I guess they didn’t bother with ears because Warner’s mop of hair makes them invisible and unnecessary, on a prop head at least. 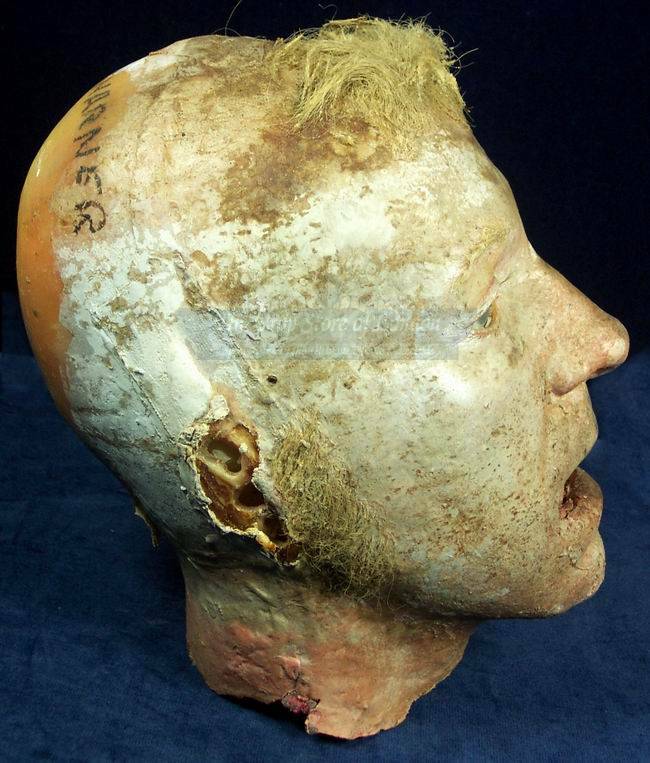 I absolutely love it that they’ve carefully labeled the head “DAVID WARNER,” in case, presumably, somebody didn’t recognize him among all the other severed heads they have lying around. 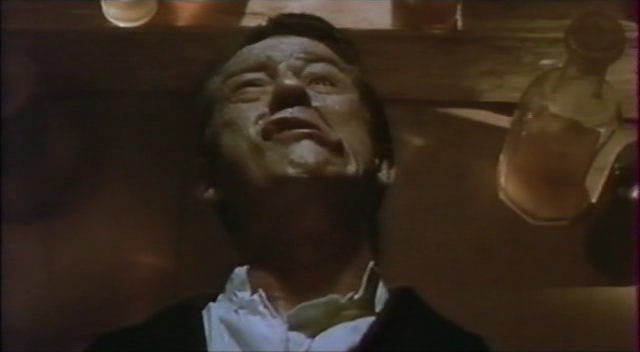 That would seem possible if it weren’t that Warner is the only actor who gets decapitated in THE OMEN. 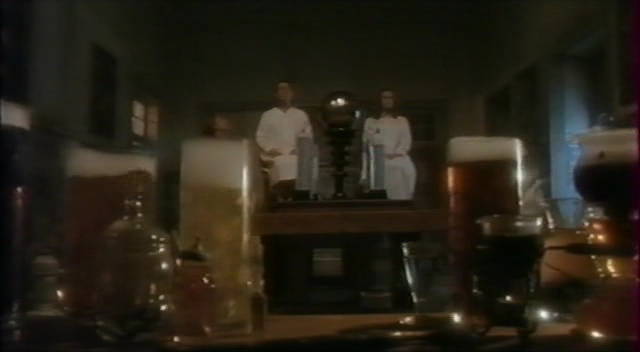 But maybe they made fake heads for Gregory Peck and Billie Whitelaw and everybody else, too, just in case. Might come in handy in the event of an unfortunate accident. 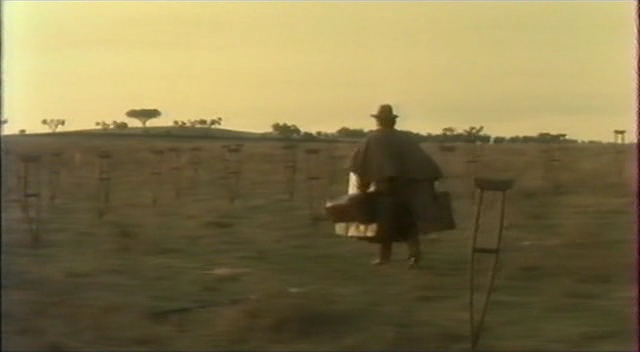 “One for Lloyds,” as we say in the Brit film industry. 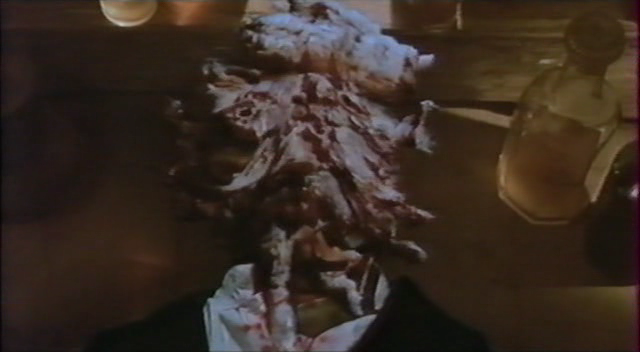 If I could own an actor’s severed head (in prosthetic form), I suppose I might go for Arthur Lowe’s, since his truncation in THEATRE OF BLOOD gave me waking nightmares as a kid. I literally couldn’t enter a room without quickly scanning all the surfaces in case Arthur’s cranium was gazing at me from atop a milk bottle. Having him around now might finally exorcise that fear. There must be a great many fake heads out there — I recall images of Vincent Price, Peter Lorre, and Alfred Hitchcock posing with prop head likenesses of themselves, and when you add up the number of loppings in movies since graphic dismemberment became an accepted and indeed required ingredient of family entertainment, it’s unlikely that there are any successful stars out there who haven’t shed at least one noggin during their careers. It might be nice if we could have a convention where all the heads could be brought together to, I don’t know, stare at each other. I admit, I haven’t really thought it through.